It's almost Valentines day and we have a cute cat to celebrate! Red or Pink - your choice. 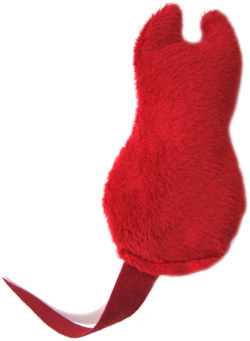 Filled with our 100% POTENT organic catnip and made from soft minkee fabric and a suede tail. Your cat will love you for thinking of them!